No, there is no such thing as ADHD. – Robert Berezin, M.D. No, there is no such thing as ADHD. Somewhere along the line we have lost the understanding that kids come in all shapes and sizes. Some kids are active, some are quiet; some kids are dreamers, others are daring; some kids are dramatic, others are observers; some impulsive, others reserved; some leaders, others followers; some athletic, others thinkers. Where did we ever get the notion that kids should all be one way. Poor parents these days are subject to pediatric ‘experts’ who proclaim that kids should follow some prescribed rates of physical, mental, and emotional growth. If they deviate from the ‘mean’, then there is a problem. Parents are intimidated and worry that there is something wrong with their babies. Every child matures in his own way, in his own time. Every child is different. We need to throw away all the bell curves of ‘normal’, you know – developmental milestones. Parents worry if Johnny is a happy breast feeding pudge ball, but over his appointed weight; or crawls differently; or isn’t walking yet; or isn’t talking at his appointed hour; or isn’t toilet trained yet (very few make it to adulthood without getting toilet trained). There are experts at every turn, such as those who proclaim knowledge that a pudgy baby will create fat cells which will create weight problems for life, which is nonsense. Parents, leave these poor kids alone and enjoy them. Raise them well – you know, boundaries and love. Apparently, differences mean that we should make children conform to the idea that there is some ‘normal’ that all kids should be. If they’re active give them amphetamines; if they’re moody give them Prozac; for fears, give them benzodiazepines; and while we’re at it, lets give them antipsychotics, or Lithium and other mood stabilizing drugs. What in the world are we doing? My focus is on the interplay of temperament and trauma to demonstrate how the fiction of ADHD took hold in the first place. Dr. Peter Breggin and others have addressed the issue of giving amphetamines to children with compelling clarity. (see a “Towards a Ban on Psychiatrically Diagnosing and Drugging Children”). Every single person is absolutely unique. No two of us are alike. Even identical twins are not the same. We all have our unique constellation of temperament. I want to emphasize that by temperament, we are talking about inborn temperamental styles, not pathology. 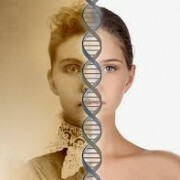 (See – “The Nature-Nurture Question – The role of ‘Nature’ comes from our genetic temperament.” Our temperament digests our parental nurture all the way through our development.” Together they create the varied and wonderful scope of human personality. Our cortical imagination, oriented by our temperament, writes a specific and nuanced character world in each of us, which is as unique as our fingerprints. And so it is with nature and nurture for all of us. Our temperaments differ; our salient environments differ; our parents, our culture, and the happenstances of our lives differ. The specific qualities of our parents, brothers, sisters, aunts, uncles, teachers, friends, girlfriends, boyfriends, and the moment-to-moment experience of our lives are all unpredictably alive. Our adult character is created out of all of these forces and is absolutely unique. No two snowflakes are alike, but we are all snowflakes. And we all form the same way. To understand ADHD, we need to look at differences in temperament, as well as the degree of responsiveness, abuse, and deprivation that is digested into our plays of consciousness. The next temperamental attribute is that our child tends to be an Externalizer, rather than an Internalizer. What does this mean? The orientation of an Externalizer is to look outward. With good enough loving, he feels secure with love from others. In the context of deprivation and abuse, he is predisposed and oriented to feel attacked or criticized by others. He locates the source of attack, hatred, or criticism as coming from a person outside of him. For example, from a legacy of shaming abuse, an Externalizer experiences being actively “shamed” by a person outside of him and will react to it. His orientation is as a blamer. As such, he would be inclined to blame, and fight with others. (An Internalizer will carry a source of loving internally. In the absence of good-enough loving, instead of blaming and fighting, he will attack himself. It would be manifest as self hate. “I’m bad; I’m inadequate, I’m stupid, I’m ugly,” etc. In the context of shaming abuse, an Internalizer, would feel “ashamed”. And finally this child tends to more of a Participant and less of an Observer. A Participant is naturally oriented to be immersed in and emotionally involved in activities. He easily and naturally engages through feeling. The natural orientation of an observer, on the other hand, is to process at a distance, rather than be immersed in the feeling relatedness of the scenario of the play. An Observer tends toward thinking, caution, circumspection, reticence, and figuring things out. So what do we have? An Active, Externalizer, Narcissistic, and Participatory child. Remember, there are no pejoratives associated with these attributes. This type of constellation generates the attributes of leaders and athletes. In many cultures these children are valued, rather than devalued. These kids grow up to be fun energetic people. These kids may show behaviors which get them called ADHD. But they are normal kids. They are easily bored, need to run around a lot, may have short attention spans, except when they are interested. These actually are stereotypical boys. There is nothing wrong with them. They can be fidgety, impulsive, and concentrate poorly. In the context of deprivation and abuse they may be prone to spin out of control. They may act out more and blame and fight. This may be a signal that something is problematic in the family and needs to be attended to. Many families don’t like to hear this, but it often means that the attention deficit may be that the parents are giving insufficient loving attention to the child. What is called ADHD in general is merely one part of the constellation of temperaments that comprise the human condition. But even within this group, each of our temperaments vary. No two children are the same. And the specifics of deprivation and abuse vary with every child. And not only that, there are so many other issues that can be very misleading. 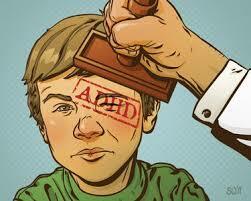 I give one example in “How do Our Children get Misdiagnosed with So-called ADHD? – Certainly symptoms present themselves. But they need to be correctly Understood.” All of these children need to be correctly evaluated to understand what they need. It might be helping the family. It might be a more open classroom. It might be to help teachers be better teachers. But one thing is for sure – there is no ‘brain’ condition that generates some disease called ADHD, and none has ever been demonstrated. And no child should be given amphetamines. I agree with you 100%! I have 9 year old who is only a normal boy, active, daydreamer and sometimes clownish. I have been hearing from one of his teachers that he needs to be checked for ADHD. In my opinion, the teacher is lazy and doesn’t want to face the challenge. I actually told her that politely that she has a structure for her class and want to keep a “reputation” for having the best class in school It doesn’t work that way! Kids are being kids and there is nothing wring with it. I am not saying it only about my son. There are other kids in class who act like a boy and to me it is absolutely normal However, there are other kids who are severely disturbed and those are the ones who might need to be on medications or treatments. For once, somebody wants to accept kids for who they are and doesn’t clone them like others. Thank you Dr. Berezin. Of course I understand how challenging it is to raise kids like this. I respect above all, the devotion, dedication, and love that it takes. (This is of course true for all kids). 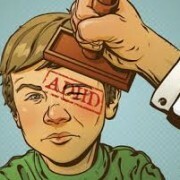 I do not use the name ADHD because it means a child is diseased and this is absolutely not so. The label itself is demeaning. I re-emphasize that it comes from one’s temperament. Raising these kids with good-enough boundaries and good enough love, is very, very difficult. Of course I am deeply sympathetic. (There are no perfect parents. We try, we make mistakes, we learn). I understand all this and I respect and feel for parents who deal with this. When you add in the traumas of deprivation and abuse, these kids spin way out of control. And the problem is nightmarish. It requires all kinds of approaches that need to be sensitively thought out. However, there is no place for stimulants. Other children, subject to deprivation and abuse, with different temperaments respond with different symptoms. They too are not diseased and should not be drugged. Thank you for this post. My son is an incredibly intelligent, loving, sweet, goofy, sensitive and extraordinarily perceptive 10 year boy who amazes me and makes me laugh every single day. Teachers from 1st to 4th grade told me that their “opinion” was he had some sort of ADHD because he balks at rote learning and memorization and often leaves repetitive worksheet assignments unfinished. When I pointed out that his 98th percentile standardized test scores indicated gifted intellectual ability, they focused on his sloppy, left-handed writing and his “inability” to finish tests on time. When I pointed out that he loves to ponder they saw the amount of time he takes to finish he work as some sort of learning disability. When I sent a photo of a complex Lego project in the 9-16 age range that he quickly completed at age six I was told that ADHD kids can hyperfocus. 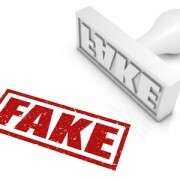 When I pointed out James Webb’s book “Misdiagnosis and Dual Diagnoses of Gifted Children and Adults”, about misdiagnosis of gifted children (who often exhibit many of the so-called ADHD traits) and Richard Saul’s book “ADHD Does Not Exist”, they had never heard of them. I advocated for my son to get some kind of advanced curriculum, but they didn’t offer any. We are now on school number 3, soon migrating to school number 4 for sixth grade. We lovingly support his natural growth and exploration, at his own pace, providing lots of home enrichment materials and simply smile and ignore the naysayers. His current teacher “gets it” and does not believe he has ADHD. He is not particularly hyperactive, but more of a daydreamer who gets A’s when he applies himself but lately has been underachieving due to boredom in the classroom. All along I have believed that he does not have ADHD, and that ADHD is not a legitimate diagnosis. Since we knew we would never subject him to a pharmaceutical regimen, we declined to have him “evaluated” for ADHD. As a diagnosis of exclusion, based upon subjective observation, it should be used, if at all, as a last resort. I found the book “Dreamers, Discovers and Dynamos” to be helpful in understanding my son’s divergent thinking. It takes parents of strong will and determination to avoid the ADHD diagnosis, I feel like we are dodging bullets and no doubt appear to be in denial in the eyes of some teachers. Thank you, again. I hope that more psychiatrists and psychologists will wake up. Thank you for your story. I appreciate what hard work it is to do right by your son. I agree with you that ‘there is no such thing as ADHD. There is, however, a neurobiological problem with children and young adults that present with,so called, ADHD behavior. These children have a ‘lower than normal’ level of the neurotransmitter dopamine in the sensory areas of their brain. Big Pharma makes Billions of dollars every year on stimulant medications for the treatment of ADHD. Stimulants are dopamine re-uptake inhibitors that interfere with the normal function of dopamine, or its derivatives, in the neuronal cleft. 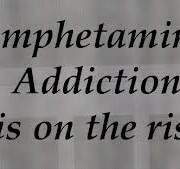 Stimulants do not create the first drop of dopamine. 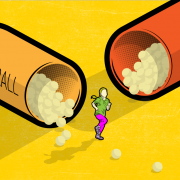 IMHO, exercise would be the better alternative to stimulant medications because it increases dopamine, serotonin and other much needed neurotransmitters in the brain. There is no doubt ADHD is horribly over diagnosed in schools. As a child diagnosed with ADHD at a very early age the educators that worked with me were able to provide an exceptional level of support. I was also given a healthy dose of riddalin. Standardized testing and a focus on teaching to these tests have robbed many of my colleagues of their ability to teach to a students strengths. I was blessed to be raised in a school system that emphasized individuality and a varied approach to learning. Unfortunately this is not the norm and imagination and innovation are no longer rewarded in the classroom forcing more and more services to hammer a square peg into a round hole. I will add one last comment as a response to a comment on another site. In no way do I diminish the issues for these children and their parents. As I have said, my heart goes out to them. My main point is that they are NOT diseased. There are so many children who believe, no matter how it couched, by the dominant ADHD community that they have a brain disorder, certainly not by me. And this is not the case. They grow up their life with this belief. I have dealt with many patients who really believe they have a genetic-neurological brain disease. I couldn’t be more sensitive to the issues of ‘social suffering and self loathing’. I deal with this all the time. My explanation of temperaments is intended as an alternative explanation as to why this occurs, which I believe is the real reason. It is not a‘ molecular psychiatric’ problem at all. It operates on an entirely different level of brain functioning and brain mapping. This does not diminish the problematic realities. This helps to understand why it happens. And I certainly respect efforts like yours to help. There should be more people like yourself. Whether you like it or not, in addition, there can be, I’m not saying always at all, abuse and deprivation in childhood which contributes to these kids spinning further out of control. If you believe that’s not the case, you may be naïve. Other children with different temperaments will present with very different symptoms. I am certainly in agreement with you that you do not believe in medicating children. The harm done to these children is enormous. Keep in mind that the drug companies and the APA are medicating far more children than just these kids. What is happening to our children is truly frightening. No one from that camp can hear us. I hear you and I have found the same improvements. See how he doesn’t respond when we offer our own personal experience that contradicts his opinion? He is a Harvard educated man. The definition is liberating. Why do you represent your opinion (a very uninformed and incorrect one) as if it covers all of us who suffer? How patronizing and egotistical. BTW, ADHD, as its name confirms, is not a disease. It is a disorder. Please do not misrepresent what it is, more than you already have through various unproven theories. Please offer proof that the symptoms of ADHD are the result of temperament. What you are saying is that depending on one’s temperament and the lack of parental love, a child will necessarily develop ADHD, even though it doesn’t exist. If you really feel deeply for these kids, I being a grown one, open your mind. The bio/chemical/electrical malfunctions/abnormalities in the brains of persons with ADHD are many.